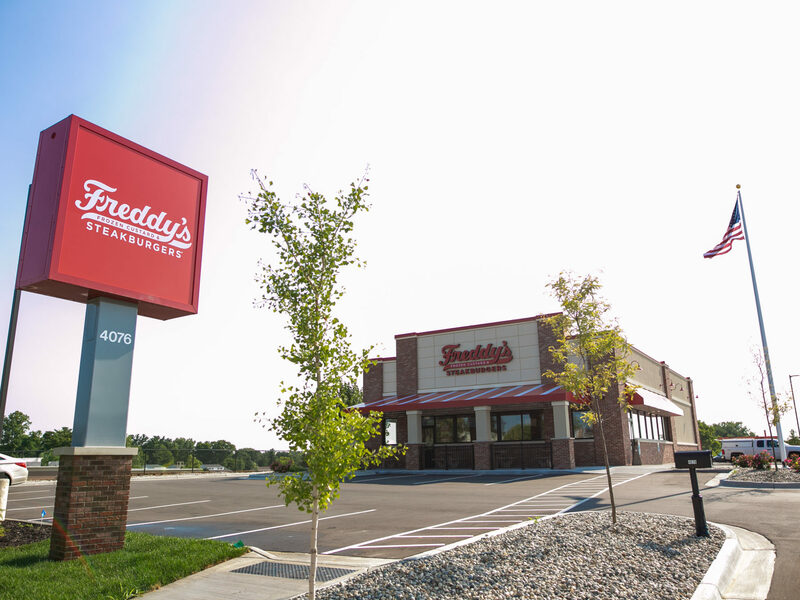 Wolverine Building Group constructed a new Freddy’s Frozen Custard and Steakburger location on Alpine Ave. in Comstock Park, Michigan on behalf of franchisee, Joe Reber. 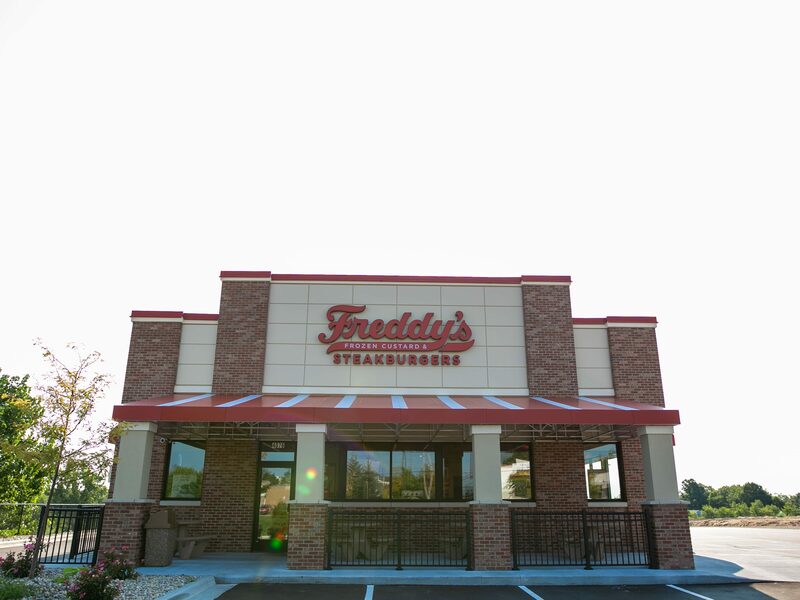 The project involved the new construction of a 3,500-square-foot building complete with a drive-thru, brick exterior and Freddy’s signature red awnings. 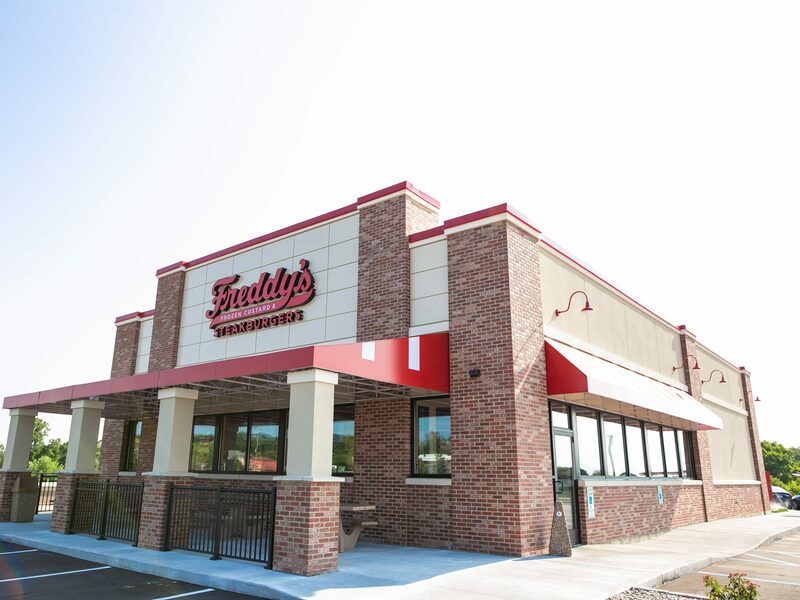 The building’s interior features an old-fashioned diner feel with ceramic tile, stainless steel fixtures, and bright red furniture and accents. 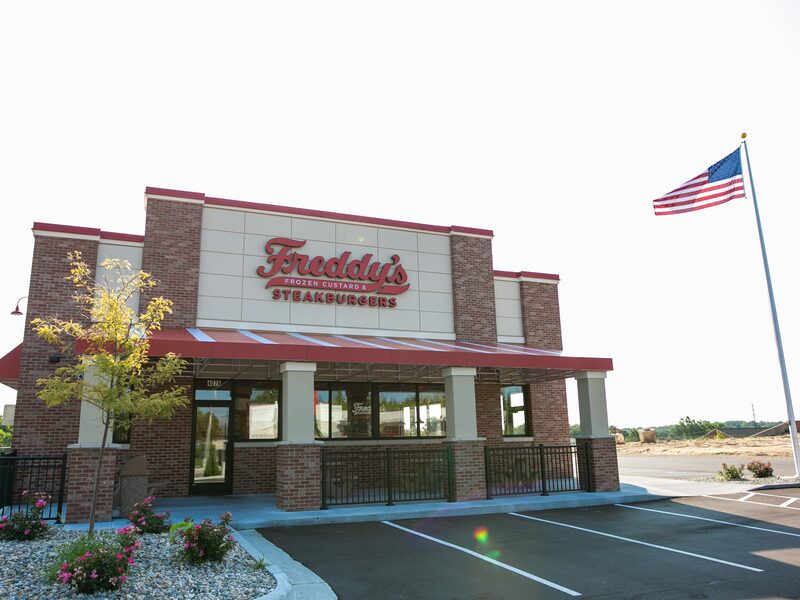 This is the fourth West Michigan location our team has constructed for the brand.